Do You Need a Crown in Bastrop, Texas? A crown is a dental restoration also called a “cap.” These custom-made coverings fit over existing teeth that are often compromised, and they serve to protect and strengthen any remaining tooth structure. Completely natural in appearance, it’s unlikely anyone but you will know about the presence of this dental work. We offer an evaluation for crowns in Bastrop by appointment where Dr. Byler will help you decide whether a full porcelain crown, porcelain fused-to-metal, or an all metal crown is right for you. Are You a Candidate for Crowns in Bastrop? Restoring your dental aesthetics and preserving your teeth, crowns may actually be necessary for a variety of reasons. Root Canal – This procedure leaves teeth fragile and apt to fracture, and a cap will protect the tooth. Bridges – Teeth adjacent to bridge work require crowns to support the bridge. 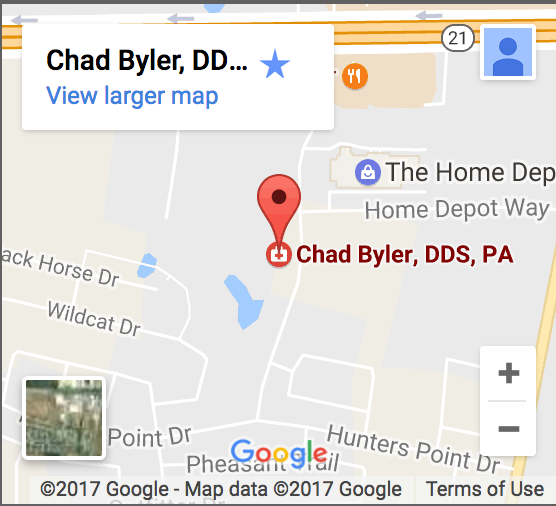 Whatever issues you are facing, Chad Byler, DDS and his team will put a smile back on your face with convenient and affordable crowns in Bastrop, Texas. At least two dental appointments are necessary once the need for a cap on your tooth has been determined. On your first visit, a local anesthetic is applied, and the existing tooth is prepared as a base for your crown. An impression is made of the area, which allows us to prepare a temporary crown immediately for you to wear until your permanent cap is ready in about two weeks. The second appointment occurs once your custom tooth cap is prepared. The temporary covering is removed and your new fitting undergoes precision shaping and adjustments for optimal comfort and proper esthetics before being permanently cemented into place. With the support of a professional and caring staff, Dr. Byler strives to provide every patient with optimal satisfaction, comfort, and convenience in regards to general and cosmetic dentistry services for all of Central Texas. Call (512) 308-9860 to schedule an evaluation for crowns in Bastrop, TX today!